Goldman Sachs Group’s Tokyo FX Salesman and Vice President of the group’s Japanese Division, Wako Ogawa, has resigned from his position and is slated to join an unnamed financial institutional later this year. The Tokyo-based Ogawa declined to give further details as to his exit, though he has been a stable force in the public eye for Goldman Sachs since 2007, in the role of TV Tokyo’s early morning financial news program, “Morning Satellite.” Ogawa also served as Vice President of the Goldman Sachs Japan Co., a role that will need to be filled following his planned departure. Japanese volumes across FX have been diverging from the rest of the industry in 2014. Whereas Q1 has been generally slow due to decreased volatilities, there has been a notable rebound in the past month across many brokerages and institutions, with Japanese entities firmly abstaining from this trend. 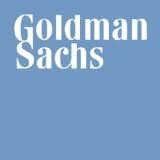 Goldman Sachs is a major player in global currency trading and FX, absorbing 2.5% market share and ranking 10th in total volumes, up from 11th in 2013. However, Goldman Sachs has also seen its proportion of trading volume across similar institutions shrink YoY ever since 2010.